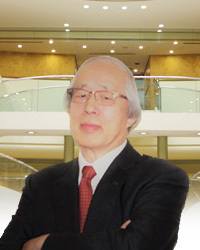 The founder of the company, late Kunio Ando established Nuclear Receptor Ligands Co. Ltd. in 1998. Main purpose of the company was to promote sales of lactoferrin, multi-function protein, and to develop ascochlorin derivative, fungal-origin natural products, to drugs. Based on the results of long-time research, patents on enteric procedure and improvement in lipid metabolism were granted, which led to prosperous licensing deal with one big Japanese corporate in 2009 and company’s financial condition was stabilized. Nowadays, further development with domestic business partners and business expansion to South East Asia countries has been sought, which will lead to growth of the market and profitability as well. Moreover, we aim to seek further business promotion by taking chance of newly established Functional Food Labelling System established in April 2015. On the other hand, we have continued efforts to create drugs through the research and development on ascochlorin derivatives focusing on hyperlipidemia, diabetes, cancer, and human recombinant lactoferrin-IgG Fc fusion protein (hLF-Fc), also focusing on hepatitis, thrombosis, sepsis, cancer and allodynia caused by anti-tumor drugs. We, however, made a big shift towards development, production and sales of functional foods based on lactoferrin and other materials which may be more prosperous in shorter time-horizon, which was triggered by the event to become one of subsidiaries of Soiken Holdings Inc., listed on Tokyo Stock Exchange “Mothers”. By this movement, web marketing business which we have operated in quite limited scale was transferred to Japan Preventive Medicine Inc., 100% owned by Soiken Holdings, concentrating on web marketing “B to C” business, while our direction of business also shifted to “B to B” concentrating on OEM and/or ODM to corporates and materials trading. Our company was founded in 1998, as venture enterprise concentrating on research and development by last Gakuzo Tamura, Honorary Professor of the University of Tokyo and his disciple last Kunio Ando, to make use of ascochlorin as one of a seed of new medicine. The will of Professor Tamura, accredited as Person of Cultural Merit and prize winner of Award of the Japan Academy of Arts, was to return the result originated in research and development effort at university to society so that it may contribute to improve people’s health. His dying wish is gradually on the way to realize. Our company’s corporate philosophy is to serve for a person who feels anxiety to health condition or even for a healthy person to improve QOL (Quality of Life).